Hi, I’m Ian Truscott and as you may have seen I’ve recently joined our WCM practice (you can get a bit of introduction to me here) – I am pleased to say this is my first blog post (hopefully of many) for Gilbane. It’s an exciting time for this segment of the CMS industry and to be joining Gilbane and I am looking forward to sharing my passion for web engagement – hence the unashamedly buzz word laden title. Depending on the commentator; we are either in a social media age, or we are post the social media revolution – in either case the Internet is no longer an extension of the traditional passive consumption media channels, it is a place where information and brand consumers get involved. In fact, folks are now arguing that it’s no longer ‘social’ it’s just ‘media’ – the way we create, consume and socialize content has changed forever and for everyone. And of course, there is so much of it – how do you make your message stick? This has mean’t a shift in focus for our industry, we’ve seen the age of the IT developers platform, been through the focus on ‘easy to use’ for content contributors to now – where being audience centric has become mainstream thinking (and a business imperative). This has spawned a number of descriptions for this extension of WCM and the tools and practices we need to apply to become audience centric, including Persuasive Content, Web Experience Management, Customer Engagement or Web Engagement. All of these have something in common; a cycle of listening to the audience, understanding their needs and behaviour, using that to create and optimize content and some form of relevance based delivery. At it’s simplest, from a tools perspective – it’s the intersection of WCM, web analytics and personalized delivery. But it gets more complex, with the inclusion of social media, CRM, marketing automation, e-mail, mobile delivery, auto-categorization, search – this list can go on. Yes, you can throw the kitchen sink at this one – but software and industry best practices are being aligned, for sound business reasons and they are aligning behind the audience, the citizen, the consumer.. you in fact. The most unique characteristic of the web is in the way that it changes the relationship between your business and it’s customers. You will not be able to take advantage … and know your customers without engaging them in a way that encourages them to share information with you. Engaging your customers requires understanding the new tools and data that are available and applying them in a way that nurtures a new level of trust. Not just saying that to be nice to the boss (although it can’t do any harm! ), or to point out that the book was authored by a Gilbane alumnus – I think the most relevant part of the quote is the date that Frank wrote that foreword – it was February 2000. Hence my excitement in joining Gilbane, a firm that has a great, long standing pedigree as an authority on web engagement, which is, as I say, my passion and I look forward to the privilegeof contributing to that. Interested in reading more on Web Engagement? 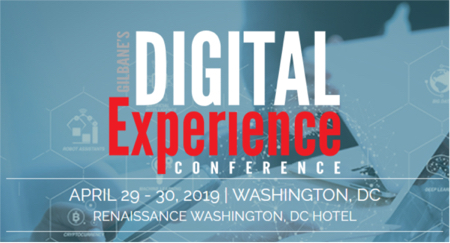 – I suggest reading this White Paper by Mary Laplante or check out our guide for marketers at Gilbane San Francisco – where our speakers will be discussing a lot of the subjects I touch on here.